Today we have a special "Seven Questions" interview with the very likeable Masiela Lusha, who of course played Carmen Lopez on the hit sitcom George Lopez from 2002-2007. The sitcom can still be seen in syndication on Nick at Nite and is one of the network's highest rated series of all-time. Having made her TV debut in 2000 on the Disney Channel series Lizzie McGuire, Masiela Lusha has literally grown up on screen. Today, Masiela's talents have taken her from a fresh-faced teen to an award-winning actress, author, model, producer and humanitarian. Though best known for her on-screen talents, she has many other passions that have kept her busy and we will dive into all of that. We talked to her about the George Lopez experience obviously, how she started in this business, if she keeps in touch with her George Lopez co-stars, why she left the series after the fifth season, and all of her other many talents. She is truly one of a kind! So let's get right to another installment of "Seven Questions!" "Seven Questions with Masiela Lusha of George Lopez"
SitcomsOnline: Hi Masiela, we just love you and were amazed by your performance on the hit sitcom George Lopez from 2002-2007. Tell us how you got the role and did you expect to get the role despite not being of Latin American descent? Honestly, we had no idea you weren't Latina until a few seasons in! That must mean you are good! Masiela Lusha: Thank you so much! Not realizing until a few seasons in that Carmen was portrayed by a non-Latina is a testament to the writers and producers of the series. Carmen was such a well-written character, so rounded; to me, her struggles and thrills were universal. I feel fortunate to have had the opportunity to portray Carmen, and more importantly that her depth and vulnerabilities were depicted authentically and without a hint of veneer or predisposition. When I tested for Warner Bros. and ABC, my nationality was not even addressed in the room. I was not confronted with the possibility that perhaps I could not infuse Carmen with the life that the story required, that perhaps I was not inherently capable of portraying a teenager in Los Angeles. SitcomsOnline: What made you decide to become an actor and when did you decide that? We know your first role was back in 2000 but did you get roles instantly after you pursued getting into this industry? Or was it a harder process than you thought? Masiela Lusha: An agent at Amatruda Benson & Associates combed the Midwest for new talent, and eventually landed in Detroit. At this open call, as a large assembly of attendees, we lined up in single file and presented ourselves to the agent, relaying our dream of either acting or modeling. After the seminar and open call, the agent narrowed down his list to three new actors that he would like to represent in Los Angeles, and the moment he called my name, the trajectory of my life shifted drastically. Within a week, my family and I moved to Los Angeles, and we dove into a new life that was utterly unfathomable only a week prior. Looking back, it still amazes me that we left behind every thread of comfort for the opportunity to pursue such an intangible dream. Once I settled into a reliable routine in Hollywood, within a year, I was offered a commercial for JC Penney and a music video for Alanis Morissette's Hands Clean. It was after two years of resistless dedication, that I was offered the opportunity to portray Carmen. I cannot really say whether the process of pursing the industry was more difficult that I anticipated, because I did not know what to expect. I knew that I fell in love with acting, and that any opportunity, whether in an acting class, an audition, or on set where I could perform, felt like a dream come true. Being cast was certainly the icing, but it did not prevent me from loving every moment of pursuing my dream. I also fell in love with simply working, and being of use to society, in any way that I could. 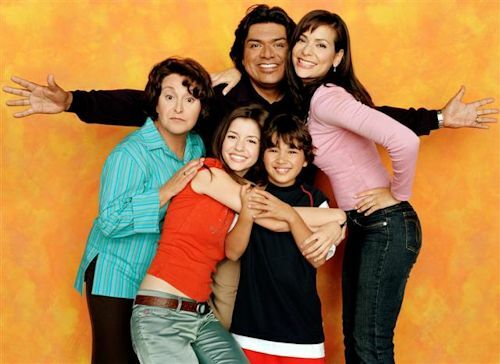 SitcomsOnline: Tell us how your relationship was with the rest of the cast of George Lopez - George, Constance, Luis, Valente and Belita. Who were you the closest with and do you still keep in touch with them? We loved the 2009 on-screen reunion on Lopez Tonight, but we want more! Masiela Lusha: Being an only child, Luis, who portrayed Max, was the brother I never had. At times when we were both placed off camera, positioned to enter a scene, I would always tousle his perfectly groomed hair a second before his cue. So if you ever see us entering the scene from the same entrance, and Max looks inexplicably disorderly - that was my artistry on display! George and Constance Marie taught me so much about work ethic and valuing ones craft, that to this day, I still refer back to their lessons. Belita Moreno and Valente Rodriguez were an absolute dream to work with. Belita's endearing quality, warmed up any set instantly - her energy was like a light-bulb. And, Valente was absolutely brilliant as a comedian. Sometimes, I would remain on set past my scene, just to watch him perform. I feel fortunate to have learned from such incredibly talented actors, to evolve and grow under their influence. We shared such an important part of our lives together, so I will always consider the cast family. Always. SitcomsOnline: You grew up in front of our eyes on television. You certainly blossomed and became a beautiful woman. I think every teenage boy who watched the show fell in love. Anyway, your wardrobe began to change in the later seasons. Was it uncomfortable wearing those kind of outfits at times or did you feel it was an accurate portrayal of growing up? You certainly looked great! Masiela Lusha: I absolutely embraced the opportunity to accentuate the physical manifestation of Carmen's evolution! The thrill of portraying Carmen was the realization that she is an ever-evolving character, who changes in style and taste. As an actor, it's great to play a character who has no limit to her depth and growth. That is actually what I loved most about Carmen - her unpredictability! Her edge! SitcomsOnline: What were some of your favorite episodes from the series and what did you think of the Carmen character? And we were disappointed you weren't on the last season - let's set the record straight, was that your decision or someone else's? What happened? We missed you! Masiela Lusha: My favorite episodes dealt with serious issues and very human emotions. I loved the episodes with George searching for his father - and all the heartache and vulnerability bound to that journey. I also loved the episodes that shed light to teenage bullying. The reaction I received from the series fans re-enforced my belief, that as a society, we strive to extract meaning in nearly all creative outlets. To watch a beautiful young girl tear up before my eyes because she had lived through Carmen's torments of bullying was an experience I will never forget. To hear this lovely girl reveal that reliving her experiences through Carmen armed her with strength and a sense of peace is the reason why I strive to work in the industry. Carmen's ultimate growth was transcending her comfort zone and entering a university campus - a first for her family! I feel one can only grow so much when confined by one particular environment. Carmen needed that opportunity to launch into a new world outside of the Lopez home, in order to continue her evolution. I do not like to discuss specifics as it relates to my departure. However, I do feel it was for the best. It was essential. I've watched every episode of the last season, and felt the producers, writers, and cast took a great direction with the series' final evolution. SitcomsOnline: After you left the series, you have done a lot of humanitarian work and have written books even. Tell us more about that because that shows you care about the world and you're smart. I mean you did graduate high school at the age of 15 and speak like four languages! Masiela Lusha: I've personally witnessed what we as a society are capable of when we commit to a cause. We can motivate a tectonic shift that resonates for centuries to come! On a personal level, as one single variable in this vast movement, I strive to repay all the blessings I've received, and it's never enough. I can always provide more. We are offered a gift to live and thrive, and if we do not embrace this opportunity then why are we on this earth? Why does our existence matter if we do not enhance and elevate our society for posterity? This belief also influences my writing. In order to validate my worth as a writer, I focus on the positive elements of our society, on the traditions and customs that enhance our world. If I can leave the reader with a little bit of warmth and new insight, then I feel my mission is fulfilled. Whether I write children's books, such as Boopity Boop Writes Her First Poem, or novels, my intention is the same. This also translates to my acting! My choice of projects are very much influenced by my desire to offer a bit more depth and meaning in the ways that I know how. Humanitarian work is not always action-motivated - it can just as easily be an outlook, a conscious way of living - a smile or a simple offer. SitcomsOnline: So what's next for Masiela, and what are you working on today? We would love to see you return to television soon on maybe another sitcom? We miss seeing your face weekly on our screens. Please also share with us anything else you'd like us to know...we hear you're engaged? Congrats! Masiela Lusha: Thank you! I've been fortunate to work on some amazing projects during these past six months! We just wrapped Fatal Instinct. Our director, Luciano Saber, infused so much depth in the film, that I cannot wait to see it completed. I portray a mother for the first time, a character who is torn by two ideologies. I wish I could reveal more! My other film, The Weight of Life, centers around a young girl's unrequited dream; she is forced to address all the limitations of her current life. And finally, incredibly excited to launch into Branded! It has a very dark, literary motivation - so thrilled, because it reminds me of Dante's The Divine Comedy, and all its human torments! I love sitcom - it's in my blood, and it would be an honor to live that world again! This year has been full of transitions, indeed! Onto the next chapter! We definitely appreciate Masiela for taking the time to give us an interview to talk about her sitcom experience and what she is up to now. She is so very nice and as everyone can tell from reading this interview, she's so intelligent. We wish her the best and we will be seeing in TV/film for many years to come. As she said, "on to the next chapter." That'll do it for this installment of "Seven Questions," stay tuned next time for another brand new interview! But first, don't forget to check out Masiela Lusha all over the web and social media. Follow her everywhere! Cedric "The Entertainer" will call on some of his famous friends to play Who Wants to Be a Millionaire during a special "Celebrity Week" series, airing next week - November 4-8. Participating celebrities are guaranteed to win at least $10,000 for the charity of their choice. Millionaire airs weekdays in first-run syndication. Check local listings or go to http://www.millionairetv.com for time and channel. "Celebrity Week" will kick off on Monday, November 4 with Boris Kodjoe of BET's Real Husbands of Hollywood. Kodjoe will play Millionaire to benefit Sophie's Voice Foundation. Kodjoe's appearance will wrap up on Tuesday, November 5. Next, fellow comedian and actor Brad Garrett, who is best known for his role on Everybody Loves Raymond, will play Millionaire on Tuesday, November 5 and Wednesday, November 6. Garrett will donate his winnings to Maximum Hope Foundation. Then, Josh Malina, who plays D.A. David Rosen on ABC's hit show Scandal, will test his Millionaire trivia skills on Thursday, November 7, and will play to benefit The Shark Fund. Scandal currently is in its third season and airs Thursday nights at 10:00/9:00C on ABC. And finally, Niecy Nash, Cedric's on-screen wife from TV Land's The Soul Man, will appear on Millionaire on Thursday, November 7 and Friday, November 8. Niecy will donate her Millionaire winnings to the Amazing Grace Conservatory. An alumnus of Dancing With The Stars, Niecy will also try to encourage Cedric to participate in the dancing reality show by showing him some dance moves on the Millionaire set! With Tribune now controlling This TV, there will be some changes. We already mentioned that some of its series (like Mister Ed, Green Acres, Patty Duke) will be moving to new sister network Antenna TV in November. Now we know what This TV will be doing to its schedule. On weekdays, they will fully expand to movies all-day starting Monday (Nov. 4), with the exception of late night/early morning airings of Sea Hunt and Highway Patrol from 4-6am. On weekends however, there will be some new additions. 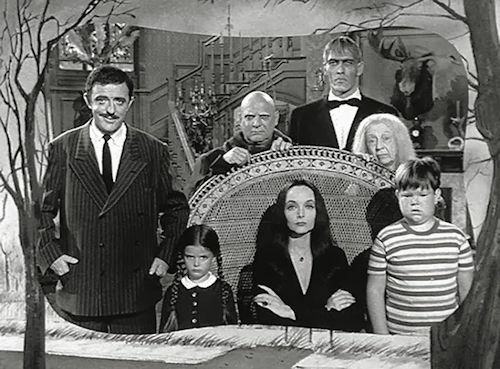 One key series of note for us is that '60s comedy The Addams Family will be airing on weekends on This TV airing 4-6am on both mornings and also Sundays from 1-2pm. Not bad! They're creepy and they're kooky, mysterious and spooky, indeed. Also joining the This TV schedule will be the Carroll O'Connor drama In the Heat of the Night, airing Sundays from 6-10pm leading into Stargate SG-1 and The Outer Limits from 10pm-2am. That's about it with everything else either moved to Antenna TV or removed (like the animation block featuring Inspector Gadget). Stay with us for continued updates. Hopefully some more series are added, especially on weekdays. 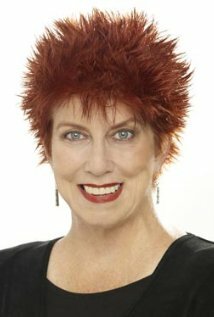 GSN announced today that the network will pay tribute to the brilliant comedienne, actress, and game-show panelist Marcia Wallace with a special morning marathon on Friday, November 1. A mainstay of TV game shows, Wallace appeared on numerous shows throughout the 1970s and '80s. GSN will broadcast iconic moments from Wallace's game show appearances throughout the years. The Marcia Wallace marathon will air on Friday, November 1, from 8 am ET until 12 pm ET. The entire marathon includes four episodes of Match Game; two episodes of Password Plus; and two episodes of The $100,000 Pyramid. 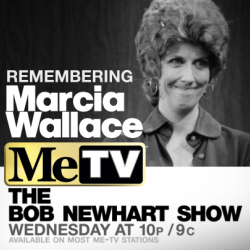 And The MeTV Network will have a special tribute to late actress Marcia Wallace tonight, Wednesday, October 30 at 10:00pm ET, during the regular Bob Newhart Show night and time on MeTV. 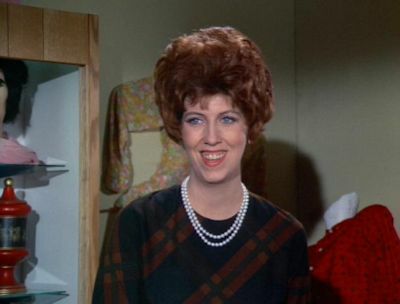 MeTV will feature episodes of The Bob Newhart Show, centered around the character of Carol Kester Bondurant, the chatty, lovelorn receptionist that Wallace played to perfection on the long running TV series. The episodes airing are "The Crash of 29 Years Old" and "Carol's Wedding." TV Land has added 30 Rock to its schedule as of last night. The Tiny Fey comedy is being borrowed from sister network Comedy Central. TV Land is airing the series Mon-Thurs at 11pm and 2am. In between, The King of Queens will air from 11:30pm-2am. 30 Rock will also air Friday nights from 11pm-1:30am and Sunday mornings from 5am-7:30am. A special marathon block will air this Sunday (Nov. 3) from 9pm-12am as well. As for Comedy Central, it will continue to air the series, but mornings at various times for an episode or two from Fri-Sun. On TV Land it will be surrounded by The King of Queens as we mentioned, but also Everybody Loves Raymond (9-10pm) and Friends (10-11pm) leading in. On this series, Head Writer Liz Lemon finds herself defending her choices and her live TV show when new network executive Jack Donaghy starts meddling with the cast. The series stars Tina Fey, Alec Baldwin, Tracy Morgan, Jane Krakowski, Jack McBrayer, Scott Adsit, Judah Friedlander, Katrina Bowden, Keith Powell, Lonny Ross, John Lutz, Kevin Brown, Grizz Chapman, and Maulik Pancholy over the years. The series lasted seven seasons and 138 episodes from 2006-2013. TV Land began with the very episode and it's airing in order. FremantleMedia North America and Debmar-Mercury, Lionsgate's television distribution and syndication company, have joined forces to offer Celebrity Name Game. 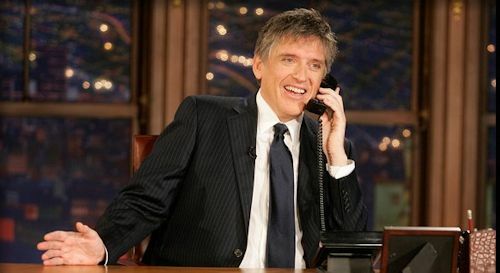 The fast-paced game show, in which celebrities team with contestants to identify famous names, including actors, singers, athletes, pop culture figures, politicians and even cartoon characters, is scheduled for a fall 2014 nationally syndicated launch with The Late, Late Show's Craig Ferguson hosting. Courteney Cox and David Arquette's Coquette Productions (Cougar Town) developed the half-hour strip based on the board game Identity Crisis with Scott St. John (Deal or No Deal), who will also serve as showrunner. Stay with us for continued updates, especially during NATPE in January. Fox has picked up nine additional episodes of Dads, bringing the series to a 22-episode order. In the next all-new episode, "Foul Play," airing Tuesday, Nov. 5 (8:00PM ET/PT), Eli (Seth Green) and David (Peter Riegert) are forced to sleep at the Ghost Child Games offices when bedbugs overtake the loft. Meanwhile, Camila (Vanessa Lachey) gets the lead in a local theater production, and Crawford (Martin Mull) ends up being uncharacteristically helpful, much to the chagrin of Warner (Giovanni Ribisi). Meanwhile, Fox is announcing premieres dates for new and returning series for winter 2014, including the returns of American Idol and The Following, and the debut of new legal drama Rake. Featuring host Ryan Seacrest, a new judging panel, including Harry Connick, Jr., Jennifer Lopez and Keith Urban, and Randy Jackson returning as the new in-house mentor, American Idol XIII begins with an exciting two-night, four-hour premiere Wednesday, Jan. 15 from 8:00-10:00 PM ET/PT and Thursday, Jan. 16 from 8:00-10:00 PM ET/PT. Following the season finale of Sleepy Hollow at a special time on Monday, Jan. 20 at 8:00 PM ET/PT, The Following returns to 9:00 PM ET/PT to begin its 15-week uninterrupted second season. Bold new legal drama Rake debuts with a special two-night event beginning Sunday, Jan. 19 at 10:00PM ET/7:00PM PT, following the NFC Championship Game, and continuing with its time period premiere on Thursday, Jan. 23 at 9:00PM ET/PT. Making his broadcast television series debut, Academy Award nominee and Emmy Award winner Greg Kinnear plays a brilliant and frustratingly charming criminal defense attorney, whose chaotic and self-destructive personal life often gets in the way of his professional one. Glee will return in spring 2014. As previously announced, new Army-set comedy Enlisted debuts Friday, Jan. 10 at 9:30PM ET/PT. Written and created by Kevin Biegel (Cougar Town, Scrubs) and starring Geoff Stults (October Road, The Finder), Chris Lowell (Private Practice, Veronica Mars) and Parker Young (Suburgatory), the series is a single-camera comedy about an older sibling who returns home to reconnect with his two brothers and lead a group of misfits on a small Florida Army post. This spring, new comedies Surviving Jack and Us & Them will debut on Fox; series premiere dates to be announced. From Emmy Award nominee Bill Lawrence (Scrubs, Cougar Town) and set in 1990s Southern California, Surviving Jack stars Emmy Award nominee Christopher Meloni (Law & Order: Special Victims Unit) as a man becoming a dad, as his son (Connor Buckley, Deception) becomes a man, in a time before "coming of age" was something you could Google. Surviving Jack is set to air on Thursdays at 8:30PM ET/PT for eight weeks, following American Idol's live results shows now airing for half-hour at 8:00 PM ET live/PT tape-delayed. New ensemble comedy Us & Them will also join the schedule in the spring, but no night and time has been announce yet. Starring Emmy Award nominee Jason Ritter (Joan of Arcadia, Parenthood) and Alexis Bledel (Mad Men, Gilmore Girls), and based on an award-winning BBC series, the series follows a young couple, whose path to happily-ever-after is complicated by the screwed-up circus of people closest to them. 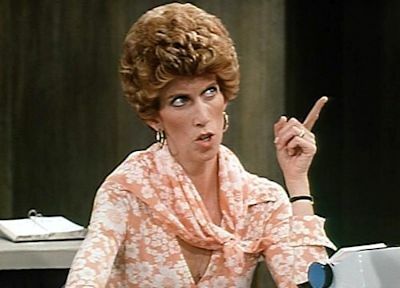 Actress Marcia Wallace, best known for her roles as receptionist Carol Kester in The Bob Newhart Show and as the voice of elementary school teacher Edna Krabappel in The Simpsons, has died. She died on October 25 in Los Angeles due to complications from pneumonia. Ms. Wallace was 70. Survivors include her son Michael Hawley, sister Sherry and brother Jimmy. She was a very talented and funny woman. She was also an inspiration to many as a long-time breast cancer survivor. We thank her for bringing us many laughs over the years. Ms. Wallace will be deeply missed. We will keep you posted on any tributes planned for her. Share your memories on our Bob Newhart Show message board. View photos in our photo galleries. Households: #1. CBS 6.8/11 rating/share (flat in rating from first four nights week 4); #2. Fox 6.2/10 (+35%); #3. ABC 5.2/8 (flat); #4. NBC 5.0/8 (+2%); #5. The CW 1.3/2 (flat). Total Viewers: #1. CBS 10.86 million (flat); #2. Fox 10.18 million (+39%); #3. ABC 8.15 million (-2%); #4. NBC 7.92 million (-2%); #5. The CW 1.96 million (-6%). Adults 18-49: #1. Fox 3.0/9 rating/share (+36%); #2. CBS 2.4/7 (flat); #3. NBC 2.3/6 (-4%); #4. ABC 2.0/6 (-9%); #5. The CW 0.8/2 (-11%). For previous week's final ratings, Week 4 had NBC win the week in 18-49 again with a 2.98 rating, followed by CBS' 2.20, ABC's 1.90 and Fox's 1.85. In total viewers, CBS prevailed with 10.15 million, followed by NBC's 9.39, ABC's 7.04, and Fox's 6.15 million. Back to week 5, read our full night-by-night analysis followed by how the sitcoms did! GREAT showings are in BOLD. If they are in bold in both total viewers and 18-49, then it is very impressive.